In modern-day Turkey, layers of mystery surround the discovery of a teenaged boy’s body in an unlikely place. Istanbul police are called by an elderly woman to check out a tall, imposing house next door because the front door’s been left ajar for several hours. In this affluent neighborhood—the house shares a wall with the famous Topkapi Museum—that alone is cause for suspicion. Responding, pretty Sergeant Farskagolu and taciturn little Constable Cohen see scant evidence of habitation except on a top floor. There they find a beautiful young man, dead of an apparent drug overdose, the windows in the room nailed shut. Inspector Cetin Ikmen (Belshazzar’s Daughter, 2003) is as precise as Hercule Poirot in approaching the case, but there are numerous blind alleys. The owner of the house reports that no tenant lived on the top floor, a pair of distraught parents with a missing son who fits the corpse’s description don’t identify it as their loved one, estimates on age and nationality keep changing. A significant break comes when the victim is linked to an underground network of young men for sexual hire. The drama of the investigation is rivaled by shifting relationships among Ikmen and his team. Most significantly, unhappily married Sergeant Suleyman comes clean with Farskagolu about his long-unrequited love. 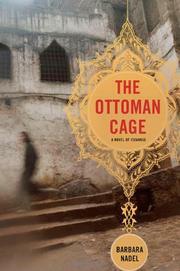 Fascinating depiction of Turkish culture, tidbits of history, and a decent whodunit.